The application of artificial intelligence (AI) via the implementation of machine learning (ML) is the fastest growing area of cybersecurity. We are told that that ML-enhanced products produce results faster and more accurately than can be achieved by human operators; and this can result in cost savings through the need for fewer analyst employees. What has been largely missing from this assertion is independent verification that the theoretical benefits promoted by ML vendors translate to actual benefits in use. ProtectWise, a network detection and response firm that itself employs ML, commissioned Osterman Research to gauge the enterprise users' reaction to the real-life performance of machine learning. Osterman surveyed (PDF) more than 400 individuals in companies with more than 1,000 employees with knowledge of their company's security operations. The result is not favorable for those vendors that base their marketing on the use of AI or ML in their products. The use of ML-enhanced products is well-established. Seventy-three percent of the respondents have already implemented ML-enhanced security products. In general, then, their answers are based on actual experience. Interestingly, the ML advocates within enterprises tend to be executives (55% IT executives and 38% non-IT executives) rather than the security professionals who will implement and use the products. More directly driven by bottom-line budget considerations, such executives might be more susceptible to marketing claims. Certainly, the survey shows that interest in ML is heavily driven by the prospect of improved efficiency and triaging, making the likelihood of lower staff requirements an apparent benefit. However, despite the current use and continuing interest in ML, actual experience post-deployment is not so positive. Forty-six percent of the respondents complain that rules creation and implementation is 'burdensome'. And post-implementation, the results are not as promising as the hype. 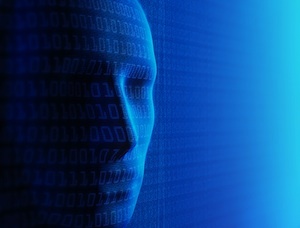 Sixty-one percent of the respondents believe that their ML systems do not stop zero-days and advanced threats -- despite this being one of the primary claims from many vendors. For a more finely grained analysis, the study separates respondents into two groups -- those with less than 10% of their deployed products employing ML, and those with more than 11% doing so. The primary criticism of ML is clearly confirmed: ML produces a high number of false alerts. Thirty percent of the group one respondents experience more than 50% false positives. This increases with group two respondents, 43.8% of whom get more than 50% false positives. A clear implication of this is that the more ML products you use, the more false positives you will get. ML offers configuration possibilities that can decrease the risk of false positives. Unfortunately, this comes with the risk of increasing false negatives -- and the respondents already believe that ML is not as good as promised at detecting zero-days and advanced threats. Finding the right balance is difficult. The ProtectWise conclusion is not that ML doesn't work, but that the vendor industry hasn't got it right yet. It should perhaps still be seen as a promising technology, not a false technology. "While the full potential of AI has yet to be realized," it suggests, "it holds the promise of seriously addressing the cybersecurity skills shortage -- it may not be a 'silver bullet', but it may be a silver-plated one." "The onus," Peypoch told SecurityWeek, "is clearly on vendors to improve the delivery of better results from their ML-enhanced products." This survey tells them where they must improve: ease of use, better detection of advanced threats while doing so with fewer false positives. Current implementations of ML can lead to an increase in staff requirements because of the difficulty in use and the high number of false positives. This equation must be reversed before the industry can claim to be delivering on its promise. ProtectWise was founded in 2013 by Gene Stevens (CTO) and Scott Chasin (CEO). It is headquartered in Denver, CO, and it has raised more than $78 million to date.